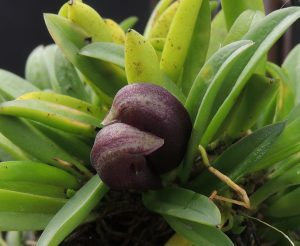 This is a small growing species from the Mata Atlantica, Brazil with 1cm long leaves that hug the bark it grows on and unusual dark purple flowers with just a tiny opening for the pollinating ant to enter the flower. We find plants do well mounted in a shady spot in Cool Americas where we water them throughout the year. We haven’t yet identified what the ants find attractive about the flower and have never seen a british ant visiting flowers so perhaps the reward is specific to the local Brazilian ants. 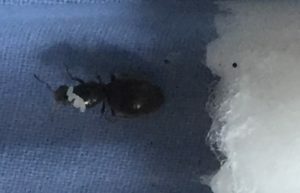 Hi Ed here, I wanted to add some information about ants especially as this week was the nuptial flights for Lasius Niger (the black European garden ant) , as I have caught some queen ants I have some pictures of them. I have only had these ones for a day and one of them has started laying eggs this means I have the perfect conditions for them and they are happy. Ants are closely related to bees and wasps. 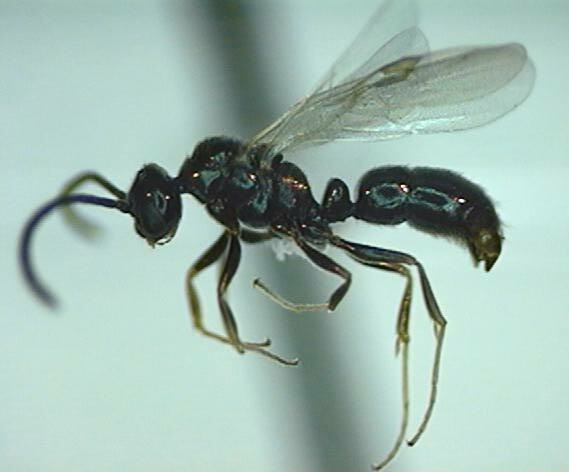 they are in the family of Formicidae as they all have a queen, except the species Paraponera clavata (the asian bullet ant). instead of the asian bullet ants having a queen they find a dominant ant this ant acts as a queen. 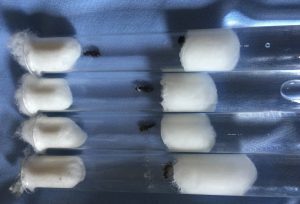 the newly found queen rips the reproduction organs so their is no other possible egg laying female ant, they even do it to the larvae. not much is known about this species of ant apart from what i have written here.